Take a look at this description and see when it starts sounding familiar: there’s a hormone that your body produces in response to high blood sugar. Through a complicated series of actions, that hormone ultimately brings your blood sugar down…or at least, it’s supposed to. People with diabetes or metabolic syndrome are resistant to that hormone: they actually make more of it than healthy people but their body doesn’t respond to it appropriately. Doctors can treat diabetes or metabolic syndrome by giving people that hormone as a drug, but the real root problem isn’t a hormone deficiency. The real problem is all the factors that play into hormone resistance, including a diet high in refined carbs but also including inflammation and other problems. Did you guess insulin? Because that description could easily match insulin, but it’s also a perfect match for another hormone: GLP-1. GLP-1 is another hormone showing why Paleo is such an effective diet for weight loss and metabolic health. It’s not about gritting your teeth through constant calorie-counting and hunger; it’s about focusing on the hormones first, and then letting your newly-healthy hormones regulate appetite, blood sugar, and energy in ways that make it easy to lose weight. GLP-1 (short for glucagon-like peptide 1) is basically insulin’s boss. It’s a hormone produced in the gut that regulates insulin secretion. When blood sugar is high, GLP-1 stimulates beta cells in the pancreas to produce insulin. GLP-1 also reduces appetite and slows the passage of food out of the stomach, making you less hungry after a big meal. And it can help keep the insulin-producing cells in the pancreas happy, which means that your long-term metabolic health will be better. It’s going to get a little complicated here, so put on your thinking cap. For one thing, there’s a totally normal and natural daily cycle of GLP-1: it’s supposed to be lower at some times of the day and higher at others. 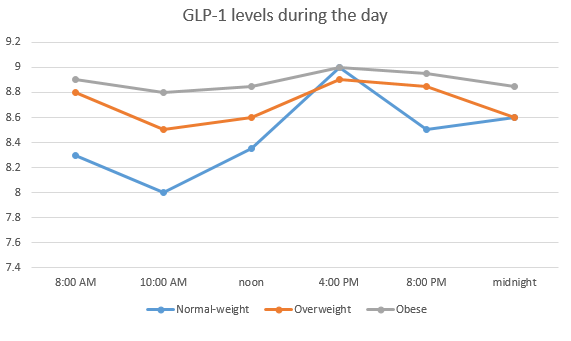 Healthy people have relatively low GLP-1 concentrations in general, but a high amount of variability over the course of the day. People with obesity have higher baseline levels of GLP-1 but less variability, especially if they also have metabolic syndrome or diabetes. People with obesity or metabolic syndrome have chronically high GLP-1 levels, possibly because the diet that tends to cause obesity and metabolic syndrome is high in sugar and simple carbs, which raise blood sugar and demand a lot of GLP-1. 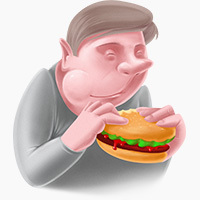 High GLP-1 all the time isn’t a sign of good health; it’s a sign of a diet high in refined carbs. Healthy people actually have lower GLP-1 in general, but they can make more whenever they need it. And that leads right into the second problem: instead of looking at the average number over the entire day, let’s take a look at GLP-1 production after a meal. Healthy people have GLP-1 spikes after meals (when it’s needed to stimulate insulin production and control blood sugar). But people with obesity or metabolic syndrome don’t. A meta-analysis found that in the early stages of metabolic syndrome, GLP-1 secretion is normal, but as the disease progresses, GLP-1 secretion gets progressively less and less effective. Here’s how the authors explained this this: in the early stages of the disease, the gut makes a lot of GLP-1 to manage blood sugar. But rising levels of blood sugar eventually outstrip the body’s ability to produce GLP-1. You’re still making GLP-1, but it’s just not doing the job like it used to. The authors compared it to insulin: both hormones show an initial surge in hormone levels followed by resistance to the effects of the hormone that outstrips your body’s ability to make more. And just like insulin, you can get some pretty decent results by giving GLP-1 to people with obesity and/or metabolic syndrome. One of the most recent anti-obesity drugs, liraglutide, is a derivative of GLP-1 that stimulates the GLP-1 receptor. Liraglutide is reasonably successful as a treatment for obesity and type 2 diabetes – it helps control blood sugar, improve the function of beta cells in the pancreas (the cells that produce insulin), reduce appetite, and prevent weight gain. For example, in this study, liraglutide helped people lose almost 13 pounds more than a placebo over 1 year, and over 2 years, it reduced the prevalence of prediabetes by 52% and metabolic syndrome by 59%. But taking extra GLP-1 for obesity is like taking extra insulin for diabetes. Sure, it treats the symptoms, at least temporarily. But it’s not actually addressing the root problem of why this person needs such an extreme amount of the hormone in the first place. NOT guilty! 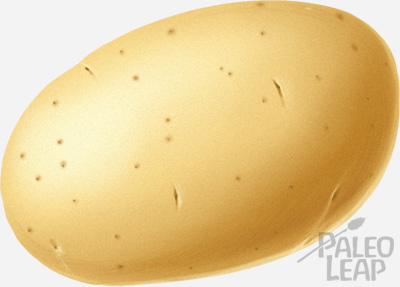 If you’re healthy to begin with, carbs from whole foods probably won’t cause GLP-1 problems. But on the other hand, if you have a genetic problem making enough GLP-1 or if you have pre-existing metabolic problems, restricting carbs may be helpful. Different solutions work for different people; let’s not be dogmatic about this. Chronic stress, which raises blood sugar. Sleep deprivation, which several studies have found to totally mess with GLP-1 secretion. Being totally sedentary, which is very bad for blood sugar control. Diet and GLP-1 problems can turn into a vicious cycle. If you’re resistant to GLP-1, you’re not getting its appetite-suppressing effects, which makes you more likely to eat more junk food, which only adds to the blood sugar problems that are keeping you resistant to GLP-1 in the first place. GLP-1 regulates appetite and blood sugar levels. If you want to lose weight or improve your metabolic health, a good diet will be one that normalizes GLP-1 levels, so that GLP-1 can control your appetite for you instead of forcing you to constantly resist food when you’re starving hungry. That’s the whole point of Paleo: to address root problems like these, instead of just giving people hormone supplements to make them less sick. Fiber: In rats and dogs, at least, dietary fiber increases GLP-1 production. Healthy fat: This study found that a diet high in either saturated or monounsaturated fat improved GLP-1 response, compared to a diet high in carbohydrate. Antioxidants: This study found that a Mediterranean diet high in olive oil improved GLP-1 action in people with diabetes. The authors specifically suggested that it was the antioxidants in the olive oil providing the benefit. Hormones like GLP-1 are a great case for diet quality, not just quantity. This is why the Paleo approach is so effective – it’s not because Paleo is some magical diet that disproves the existence of calories or somehow voids the laws of thermodynamics. It’s because Paleo addresses the root hormonal problems that drive excess calorie consumption, constant hunger, and poor metabolic health in the first place. GLP-1 is one more hormone making the case for Paleo – or at least, for a focus on hormonal healing when it comes to weight loss, instead of just calorie-counting and white-knuckling it.